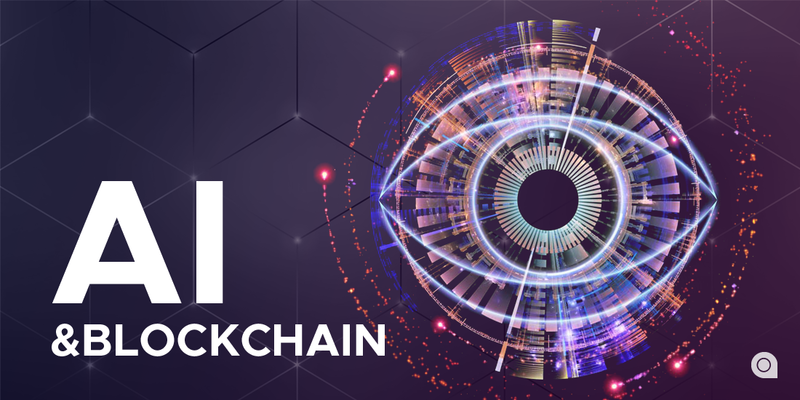 Blockchain technology could seriously help enterprises make artificial intelligence (AI) applications more understandable, which they are often not today, the TechTarget portal says. The rapid development and use of AI by business in critical situations prompts management to bring up the question of trust in it. Especially when machine learning systems are used to making decisions that have very serious consequences. For example, such a question arises when an autonomous vehicle must make decisions in fractions of a second, when the AI ​​makes decisions on issuing a loan or paying insurance, in determining the punishment for the defendant. In all these cases, a person trusts machines to make decisions that can have important and potentially harmful consequences. And although today the decision-making processes are not transparent, there is a hope that the combination of blockchain and AI will make it possible to better interpret the training systems. It's no wonder that everyone who manages AI systems wants to understand how it makes decisions. However, the emergence of deep learning creates additional difficulties in this regard. The power of neural networks of deep learning is partly related to their ability to create probabilistic links between what is being fed into the input and what is the desired output. For example, to identify an image as a cat image. However, it is difficult for people to understand how the input and output are connected. In a recent article in MIT Technology Review, leading AI experts complain that they do not know why these algorithms work so well and how they can be improved. As a result, a requirement is put forward that systems that depend on decisions made on the basis of machine learning must have an explanation mechanism. DARPA launched the Explainable AI initiative, which involves at least 11 organizations with the goal of "creating more intelligible models while maintaining high forecasting accuracy and allowing users to understand, trust and effectively manage." It's about AI of the new generation. AI and blockchain: super hype or super utility? Now there is an uproar around not only AI, but the technology of blockchain. The latter gained popularity thanks to the crypto-currencies. It provides an unchangeable distributed and decentralized transaction register, which can have a wide range of applications. In blockchain records of transactions, each of which is associated with its predecessor, are distributed among separate decentralized journals. To verify the legitimacy of a transaction, thorough calculations and consensus are required throughout the system. This provides a unique combination of decentralized control, trust and verifiability that can revolutionize systems that require reliable transactions. For example, SingularityNet, which specializes in machine learning, plans to use blockchain to record the decisions made by AI, and provide all participants of the blockchain with improved models of the trained neural network. This approach has several important advantages. First of all, gradual learning is understandable, because decisions are spread across the network. The decisions are unchangeable, so in the event of an incident no stranger can change them. In addition, once the registry of the blockchain is decentralized, not a single person has authority or control over it. These are those who own infrastructure and seek to isolate competitors. Another reason that encourages companies to look at the combination of blockchain and AI is the desire to improve the security of systems, moving the most important aspects of decision making from individual machine learning systems to the blockchain. Then, when deciding by a system that uses machine learning, all the factors considered by it and the solution itself will be recorded in the blockchain. If something goes wrong, you can inspect the blockchain and identify the root cause of the failure. In addition, smart contracts that provide automatic execution of tasks when certain conditions occur in the blockchain are promising in many scenarios involving AI. Companies working in healthcare and insurance expect that smart contracts will pay insurance or provide information in a way that is verifiable and trustworthy. The blockchain will store the logic of a particular solution in a smart contract that either side can examine and verify. Despite the fact that the consolidation of the blockchain with the AI ​​is at an early stage is surrounded by hype, such companies as IBM are using a model in healthcare and other areas where a high degree of explainability and verifiability is needed. Last year, at the Fast Company Innovation Festival event, IBM Watson Health researcher Shahram Ebadollahi announced that the corporation would work with the Centers for Disease Control and Prevention and the Food and Drug Administration (FDA) to complement the health-oriented AI Initiatives for Watson with the possibilities of the blockchain. Due to the fact that large enterprises, manufacturers and government bodies enter the market with tools designed to increase their explainability, the business may be ahead of DARPA in developing an understandable AI using blockchain and other approaches. Companies and industries that can not afford using ‘black box’ technology in the process of making critical decisions, don't have that wide range of choices if they want to take advantage of the opportunities that AI promises.